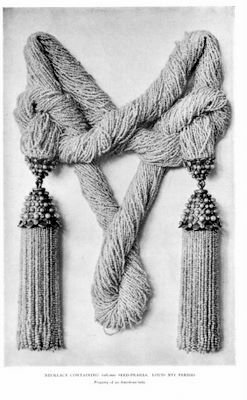 To continue on from my post yesterday, ‘Pearl Basics’, I am going to discuss the names of the different lengths of pearl necklaces (and, in fact, all necklaces). 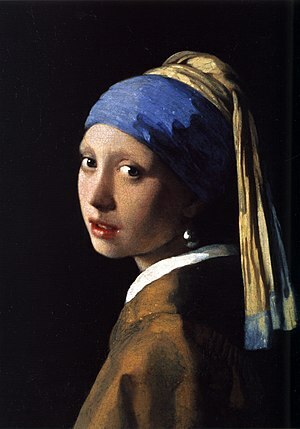 Pearls have been worn throughout history and have rarely fallen out of fashion. Real pearls have a sublime beauty that is unrivaled. Unfortunately, there are so many imitation pearls on the market, that many contemporary women have a false impression of pearls as they have never actually experienced real quality pearls. They are truly something to behold up close; women who have worn or owned good pearls will understand exactly what I mean. Sensual, mysterious and delicate, real pearls are a feminine treasure every women should have. One of the things that I love about studying jewelry worn in old art is, not only can we enjoy the beauty of the great works, we can also get a good sense of how jewelry was worn and use this information for assessing pieces in the future. I think what is really interesting, in studying these old works, is looking at the lengths of pearl necklaces and styles of pearl jewelry in general through the ages. This is something I will talk about more in the future, along with much more information about pearls in general. 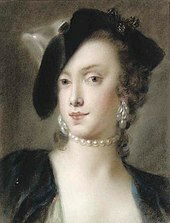 For now, here are some beautiful portraits of ladies with pearls. 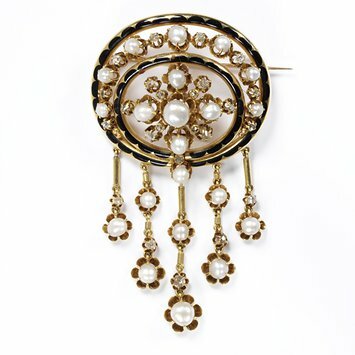 A diamond and pearl brooch captured in a portrait by the leading 19th Century artist John Singer Sargent is among a collection of Duke of Portland family heirlooms that are to be sold at auction for an estimated £6 million. 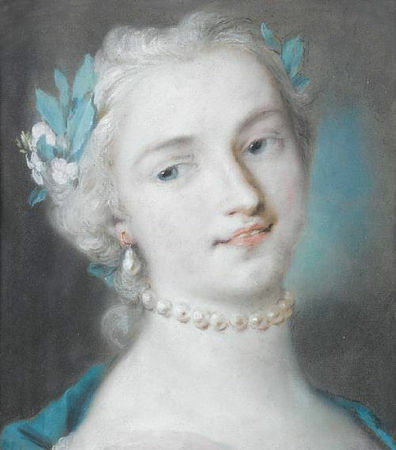 Rosalba Carriera (Venice 1675-1757) Portrait of a young woman, bust-length, with a pearl necklace and earrings. ‘Lover’s eye’ miniature, circa 1900, set with seed pearls. A seed pearl is a tiny pearl, weighing less than a quarter of a grain. Often imperfect, these tiny treasures required great precision from the jeweler. Some of the holes were so tiny that horsehair had to be used to string them, silk being too thick. (I wonder if the labor required in working with seed pearls is one of the reasons they are not used as much today. Seed pearl jewelry was relatively inexpensive in the past because of the low cost of labor.) Arranged delicately around colorful enamel, painted miniatures, gems, corals, larger pearls or other natural materials and set in gold or silver, the pretty, delicate and sensual luster of seed pearl jewelry is a delight and one of my absolute favorite materials used in antique jewelry. Pearls and seed pearls of course have been sought after throughout human history. 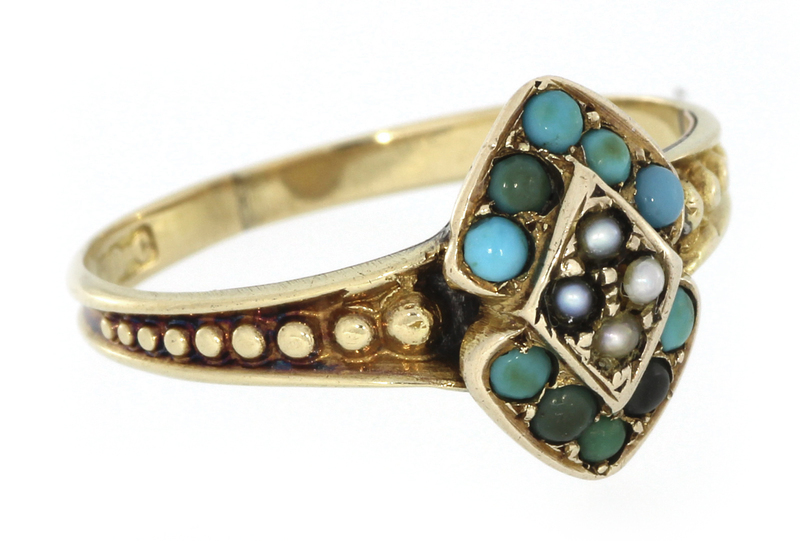 In the Georgian era (1714 to 1830), seed pearls were particularly used in cluster rings, combined with precious or semi-precious stones. Seed pearl jewelry was particularly popular in the early Victorian era (1840 to 1860) and continued to be used until the Edwardian era. Seed pearl jewelry fell out of vogue somewhat when the bolder styles of the Art Deco movement came in around 1920, but has near truly gone out of fashion to this day. Victorian seed pearl jewelry was generally sold in sets of a necklace, two bracelets, earrings and a corsage. 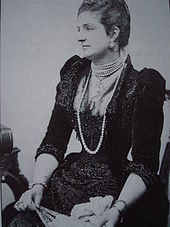 Interestingly, much of the work in seed pearl jewelry manufacture was done in Germany, although it was sold in England and elsewhere. Because people in the Victorian era tended to have a lot of children, these sets would normally get divided up so a complete set is much harder to find and much more valuable. The finest and more delicate seed pearls were from China. Seed pearl rope necklace, representing hours of labor. Seed pearls have the same characteristics as any pearl and may be cultured or natural. Nearly all pearls sold today are cultured. However, pearls from before 1916 when the pearl culturing process was first patented will be natural. The only way to know for certain if a pearl is natural or cultured is with an X-Ray. Many professionals devote their whole careers to grading and valuing pearls. However, there are some home tests for telling if a pearl is at least an authentic pearl which I will discuss at a later date. Pearls are considered to be an ‘organic gemstone’ along with jet, coral and amber.